The students of the Master in Translation Studies at Glendon College, York University, are pleased to announce the Ninth Annual Graduate Student Conference in Translation Studies to be held at Glendon College in Toronto on March 3, 2018. 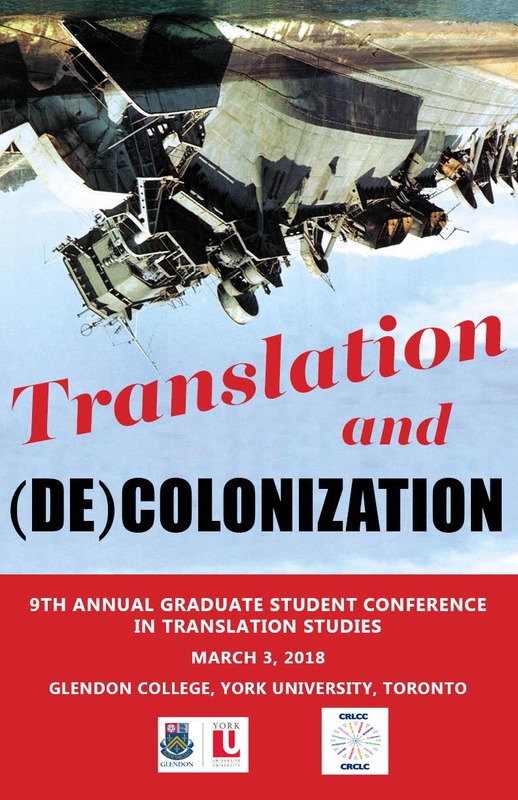 This year's theme is "Translation and (De)colonization" and the keynote speaker will be Prof. Valerie Henitiuk (Concordia University of Edmonton). The deadline for submissions is December 1, 2017. For more information, please visit the conference website, http://www.glendon.yorku.ca/transconference2018, or contact us via e-mail at transconf2018@glendon.yorku.ca or transconf2018@gmail.com.